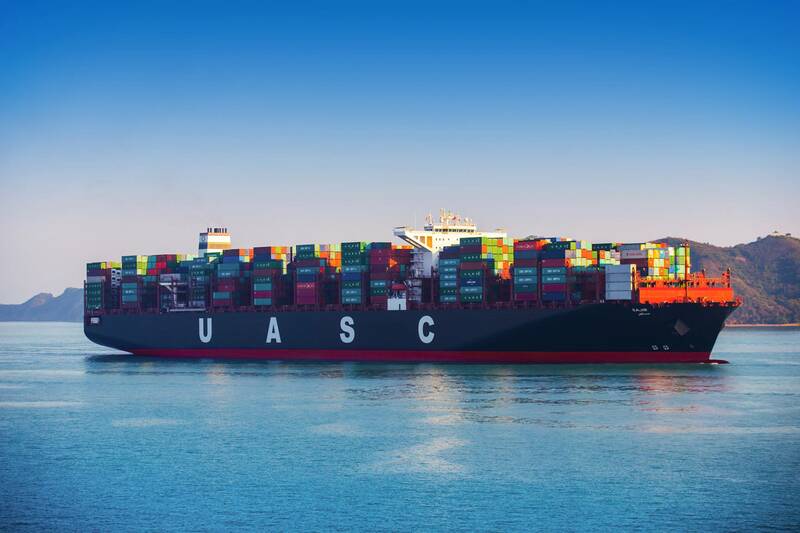 As the maritime industry increasingly searches for means to reduce emissions in the face of legislative mandate, from Germany comes news of a unique 'world first' project to convert the 15,000 TEU containership Sajir to LNG, resulting in an estimated reduction of CO2 emissions from 15 to 30 percent. While the use of LNG as fuel in the commercial newbuild ship sector continues to gain traction, the refit of existing ships to LNG has been slower in developing, owed mainly to the design challenge to fit new systems -- particularly over-sized fuel tanks -- on existing hulls. Enter Hapag-Lloyd and Sajir, which is one of the 17 vessels in Hapag-Lloyd’s fleet that were originally designed to be LNG-ready. Its 16 sister ships are also technically prepared for retrofitting. With the conversion of the Sajir, Hapag-Lloyd will be implementing a technological option to reduce the environmental impact of large vessels. Hapag-Lloyd reports that it project to convert the large containership Sajir to LNG is aa project that it will pave the way for more conversions of large ships to LNG. The contract for the retrofitting was signed at the end of last week with Hudong HONDHOA Shipbuilding (Group) Co., Ltd., and the conversion will be carried out in the Shanghai-based shipyard Huarun Dadong Dockyard Co., Ltd. While in the shipyard the ship’s fuel system and its existing heavy fuel oil-burning engine will be converted into a dual fuel engine. The plan will be to operate the vessel using LNG, but to also be able to use low-sulphur fuel oil (LSFO) as a backup.